Sell to Us Price: $1,266.30 each. 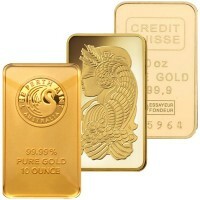 Introducing the 1oz gold bar for sale from Money Metals Exchange. 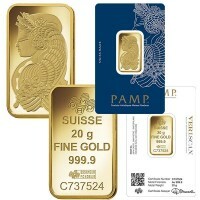 Gold bullion bars offer a strong investment advantage because they are a low premium way to own the metal. Available weights are 1 gram bars, 5 gram bars, 10 gram bars, 20 gram bars, 1 oz gold bars, 10 oz gold bars, and 1 kilo gold bars (32.15 ounces). For pricing and availability on bar sizes not listed on the website please call. 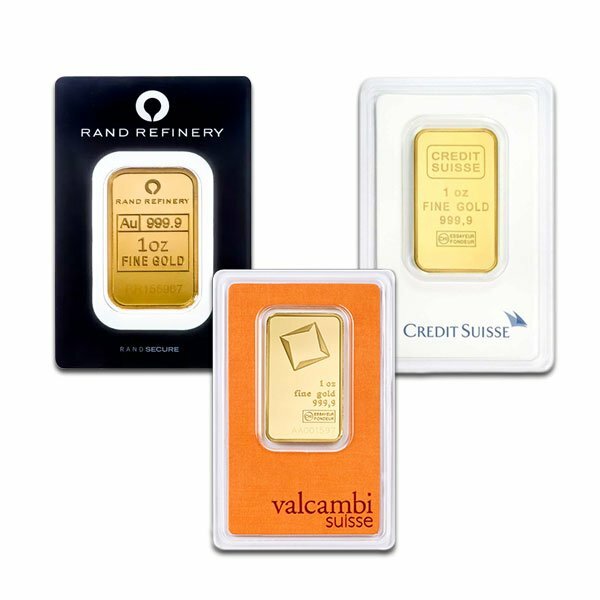 Gold bars offer lower premiums than the more popular one ounce sovereign gold coins, but most bars are highly recognizable and still a liquid investment in gold. The purity level on all of our fine gold bars is .9999. Bars are identified and hallmarked with the insignia of the producing institution. 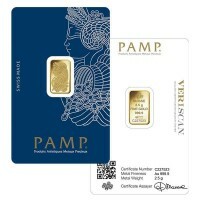 Privately minted 1 oz gold bar producers are Johnson Matthey, Pamp Suisse, and Credit Suisse among others–who also produce one ounce silver bars. 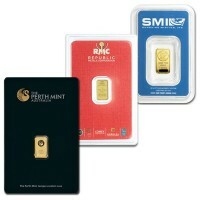 Meanwhile, the Perth Mint of Australia and the Royal Canadian Mint are the two main suppliers of government-minted bars in the gold market. 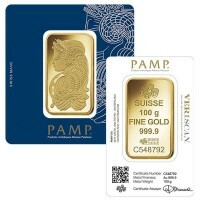 Availability when you want to buy gold bullion bars tends to vary, so investors looking to buy gold bars online or over the phone should call Money Metals Exchange directly at 1-800-800-1865 to inquire about the current gold bars pricing and product availability and/or to place an order. If you're interested in gold coins, you can check out what's availble here. Out of all the gold coins offered, American Gold Eagle Coins or Canadian Maple Leaf Gold coins are among the most popular ones investors buy. These also come as silver coins if you would prefer investing in silver bullion. We offer an assortment of silver coins, silver bars, or silver rounds. Check out two popular silver coins, the Silver American Eagle or the Australian Kangaroo (both come in a different sizes). Or if you would prefer silver bars, the 5 oz or 1 oz options are the go to sizes. Our current buy pricing is $1,266.30 each and we will buy up to 50 ounces at this price. Simply call us on any weekday to lock pricing at 1-800-800-1865. 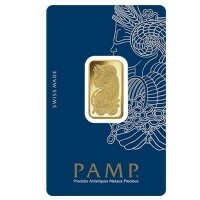 You can now sell your 1 Oz Gold Bar back to us online, at a price of $1,266.30 each!